A new study has found that a very-low-carbohydrate high-fat breakfast can be beneficial to people with Type 2 diabetes. If you have Type 2 diabetes and are wondering about the best foods for breakfast that will reduce postprandial hyperglycemia, then there is a simple solution for you. 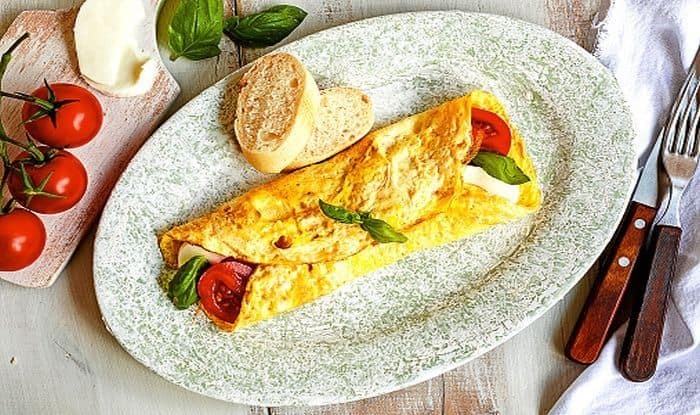 You need to eat a very-low-carbohydrate high-fat breakfast because it will lower post-breakfast glucose and also the overall exposure to postprandial hyperglycemia and improve glycemic variability, according to a new research. According to lead researchers Associate Professor Jonathan Little, who teaches in UBC Okanagan’s School of Health and Exercise Sciences attributed the blood sugar spike post breakfast to the combination of insulin resistance in the morning in people with type 2 diabetes and also to high carbohydrate Western breakfast foods like cereal, oatmeal, toast and fruits. Little was quoted as saying in an article on the University’s website that breakfast was the ‘problem’ meal that lead to the largest blood sugar spikes for people with diabetes. Fluctuating blood sugar is damaging to our blood vessels, eyes and kidneys. The inclusion of a very low-carb high-fat breakfast meal in T2D patients may be a practical and easy way to target the large morning glucose spike and reduce diabetes complications. For the study, the researchers limited carbohydrates to less than 10 per cent at breakfast. Another interesting finding of this study was that pre-meal hunger and cravings for sweet foods later in the day tended to be lower when one ate low-carb breakfast. This is in concurrence with a number of other studies that have been done on the health benefits of a low carbohydrate diet. When you have less carbohydrates, your body breaks down fat as the main source of energy. This leads to prevents obesity and obesity-related diseases like cardiovascular diseases and Type 2 diabetes. 1) Smoothies made with low carb fruits or vegetables and nut butters is an excellent way to fuel your self up for the day. 2) From chillas to parathas, you can make these Indian ‘pancakes’ with low carb pulses and lentils that will give you lots of protein. 3) Anything made with eggs — omelletes, bhurji, scrambled eggs, poached eggs, fried eggs are perfect for breakfast. Just make sure not to eat too much bread with it.